Scientists compared images taken from the Juno spacecraft (which now revolves around Jupiter) with photographs of the Earth’s seas – and revealed a fascinating resemblance. Jupiter is a massive and lifeless gas giant surrounded by an asteroid belt. The mass of this colossus is 2.5 times greater than that of all the other planets of the solar system combined! Still, no wonder he was named after the leader of the Roman gods. Earth is its complete opposite. A tiny rocky world, too close to the Sun, and besides, also inhabited. It is ridiculous to compare our world with Jupiter, because it has a mass of 317.8 times the mass of the Earth. However, regardless of the size of the planets, the laws of physics are still universal, which means there are similarities everywhere. Photos of the NASA spacecraft called Juno (which now revolves around Jupiter) and photos of the Landsat-8 spacecraft (which is in Earth orbit) only confirm this. On Jupiter and on Earth, the movement of fluid is equally regulated. 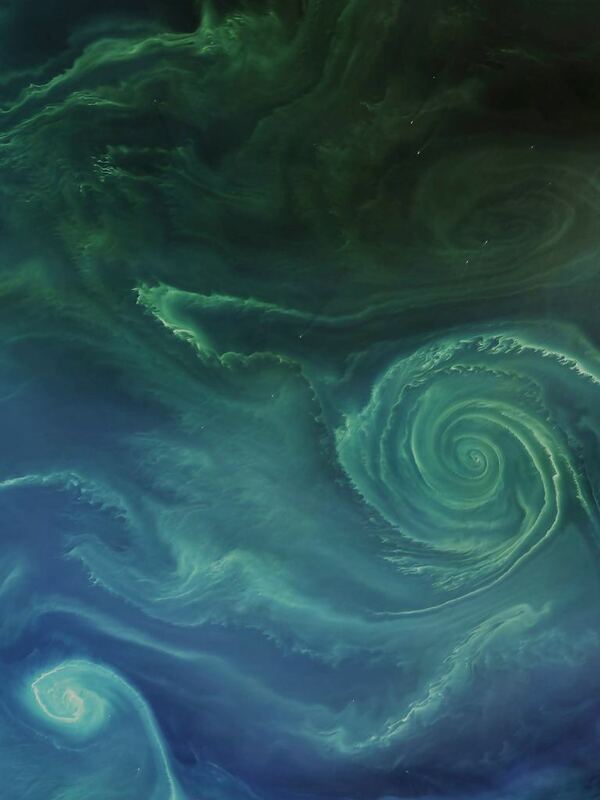 Therefore, the famous swirling clouds of the giant planet resemble in a surprising way … Yes, yes, the mass of phytoplankton picked up by the current of the Baltic Sea! Norman Kjering from the Goddard Space Flight Center describes models of flowing water as a combination of laminar (smooth and uniform) and turbulent (chaotic and uneven) flows. 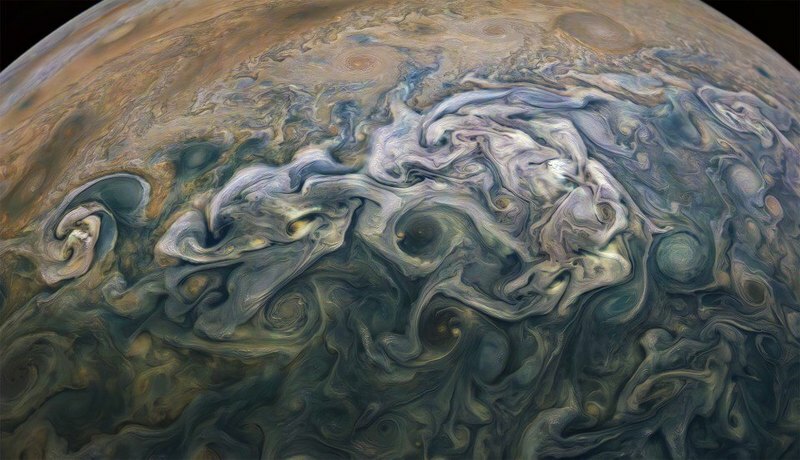 Astronomers are sure that in the atmosphere of Jupiter three separate layers of clouds can be distinguished, and it is their interaction that helps to create these amazing visual patterns. NASA even invites everyone to use images taken by Juno for their own artistic needs. So, anyone can upload the result to the JunoCam gallery, for public viewing.